Get this book free with your masterclass participation. Developments in IT and the world economy have changed the paradigm for corporate IT people and the strategies they lead. Consumers and business managers are increasingly confident at exploiting technology in ways that they value. Meanwhile, executives are determined to constrain IT spending, not always certain of what they get in return. The economic climate makes it even more important to understand the links between value creation and IT costs. The Corporate Strategy for IT harnesses the energy of business-led strategies for exploiting IT, to create maximum total value. It also makes transparent the linkages between business decisions and IT costs - often with some very surprising results. This seminar provides a proven framework for deeply integrating IT with corporate and business strategies, and explores its impact on investments, operating costs, Enterprise Architecture, organisation, and sourcing. The content of this seminar is entirely founded on Chris's practical work with leading companies around the world, is based on real-life examples, and does not require technical IT knowledge. There will also be group discussions and reflections on the techniques that are proposed to (re)formulate your Corporate Strategy for IT. Chris's seminars regularly receive 10/10 for content and style. 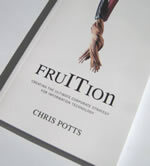 All participants receive a free copy of his thought-provoking book fruITion (Technics Publications, 2008, ISBN: 978-0977140039). Many delegates who have already attended this seminar find that it permanently changes their understanding of what Corporate Strategies for IT are all about. Taking a strategic business perspective of IT, the seminar reviews where the IT market currently stands. What does this mean for existing and new investments in IT, and for IT organisations ? The seminar will show you the innovations that industry-leading companies have used to redraw and enhance the relationship between IT people, and IT investments, and the wider business. See why organisations are finding that older generations of Corporate Strategy for IT are now inhibiting the value they can create from IT, and explore the current and future generations of strategy. Why the New Normal Could Kill IT - Gartner says that by 2012, 20 percent of businesses will own no IT assets at all. So what will your CIO and IT Managers do ?